Running a small business and a household – there can be a fine line between chaos and calm. Some days small business runs like a well oiled machine. Other days, the machine should have stayed unplugged! There are over 2 million SMEs in Australia. Just behind New Zealand and just ahead of Canada, Australia is ranked the second easiest country to start a small business. 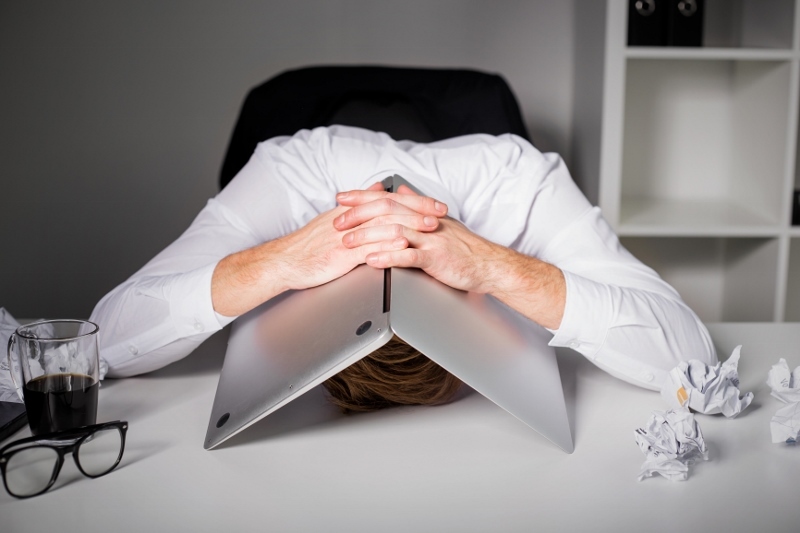 So what is it that causes small business owners to reach overwhelm? Running a small business shouldn’t affect your ability to be a good parent or partner. Unfortunately though, sometimes it does. We’re so invested in our business, when we reach overwhelm it’s often inevitable that it spills over into our personal lives too. Physical and mental health suffers. Remember your WHY – what drove you to start your small business? Up at 4am and straight into the office with a coffee. I work from home and have a purpose built office outside of the house so I can get lots done without disturbing the household. After working until 7am, I revert to ‘mum mode’ and help the boys get ready for school. Their routine is to get dressed, have breakfast (which is no small feat), brush teeth, wash face, pack school bag, shoes and socks on, (sometimes) some free time before we walk out the door at 8.15am. I on the other hand need to referee the squabbling, ensure all items of clothing are actually put on (yes, undies are important! ), make lunches, find lost shoes, double check that the tooth brush is actually wet, put on a load of washing, not to mention get myself showered, dressed and ready to go. After school drop off my load of washing is done (thank you, Mr Paykel) and it goes straight into the dryer. I live in Queensland and even in winter it doesn’t take long to dry on the line. But it does take me time to hang it out and get it in, so the 60-odd cents that it costs to run the dryer for a load, is definitely a cost that I’m prepared to pay. While that’s drying, I’m back into the office. During my busy season, my boys sometimes to go to after school care and are collected by hubby around 4.30pm. Otherwise, the phone on my alarm goes off at 2.15pm and I’m off to school to pick them up. I do have more work to do, but let’s face it – that’s not going to happen effectively with two energetic boys vying for my attention. So I’m resigned to the fact that’s often my work day over – but I did get a few hours work in before they got up, so I’ve still done a pretty solid days work. The afternoon is devoted to afternoon tea, some play time, homework, showers, and dinner. Hubby generally gets home around 4.30pm–5.00pm and we either all go to the gym together, or he’ll stay home with the boys while I go. When we get home, it’s dinner time together, then quiet time before. I get to have my fitness time, and because Jason and I do it together and take along the kids, it’s actually good family time too. How can you get your small business mojo back? Have detailed procedures – even if it’s just you in your business. This often means (well, in theory) things can run like clockwork, you don’t need to expend too much brain power because this is just the way it’s done. Outsource wherever possible – there’s nothing worse than the tasks that must be done, but that you find mundane and boring (paperwork and small business bookkeeping often come into this category), draining you of your motivation and passion. Automate as much as possible – make use of the technology available that will make your life easier. Things like HootSuite, Xero, Receipt Bank, Insightly, Dropbox … to name just a few. 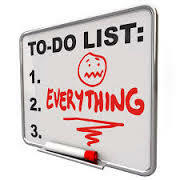 Work off a schedule – don’t keep everything that you need to do in your head, there just isn’t enough room for that! Work from a schedule, diary, to do list. There’s not much more satisfying than crossing stuff off your list when completed! Hire a cleaner – work out their hourly rate, and yours. Even if yours is less than theirs, would you prefer to be cleaning the house, or working on your business? A cleaner may not clean the house exactly how you’d like it to be done, but at least the basics will be covered, and if you feel so inclined on the weekend to clean the ceiling fans, at least the floors are already mopped! Utilise online groceries – you can order your groceries online at any time of the day or night that works for you, and have them delivered to your home at your convenience. Hire a tutor to help with homework – I’m not at that stage yet, but I’m dreading that time when our afternoons are spent arguing about homework, or I have to refer to Google to actually understand the homework in order to help with it. Work out how you work best – mornings, evenings, weekends. There’s got to be a time when you work better. Who says you need to stick to ‘traditional’ working hours? Give the kids age appropriate jobs – not only is this helpful, it’s a great learning opportunity for them. Mine help get their breakfast ready, unload the dishwasher, sort socks (odd socks seem to multiply in my house), help wash the cars, put their folded washing away, vacuum the floor. Meal prep – plan your meals for the week and cook ahead of time; make use of the slow cooker and let it do all the work during the day; cook in bulk and freeze ready-made meals. Exercise – okay, so the bookkeeper is going to come out in me now. In a 24 hour period, you sleep for 8 hours. That gives you 16 hours to find 30 minutes to exercise – that’s only 3% of your day! Family time – this is so important for me, and comes back to my WHY. We don’t do after school activities – seriously, you’ve seen my schedule! But we do spend lots of quality time together on the weekends. We take a 3-day camping weekend once a month, and the weekends when we’re home, there’s always something fun for us to do. The work that we do during the week enables us to create wonderful memories as a family in our free time which for me, is what it’s all about! Partner time – it’s important to nurture your relationship. What can you do together? Personal time – this is generally the one that I neglect the most. What can you do that’s just for you? There’s nothing selfish about that – nurture yourself and you can nurture others. Wow … I’m in Business! – there are some other great ideas for reigniting your business passion and overcoming overwhelm in my book, designed specifically for small business owners. There’s a lot to think about here. And just reading this may add to your overwhelm! So start out small – implement just one change and see how that effects your day. Then do something else, then something else. I’ll leave you with these words – overwhelm happens when you think you have to figure everything out all at once. Just take a moment to sit back and breathe. Implement one thing at a time, one day at a time. Small business is a blessing – make it yours!